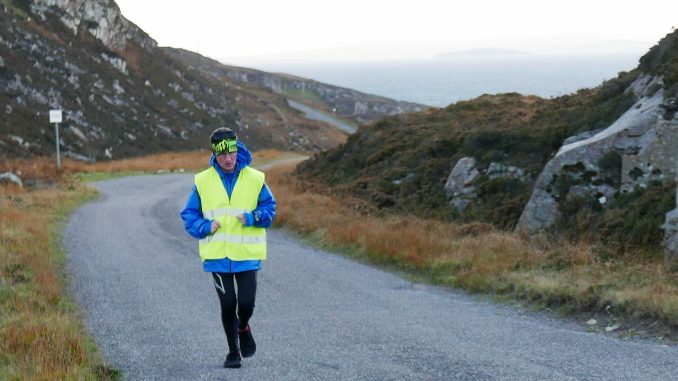 Orkney-based ultra marathon runner, William Sichel has just completed his own ‘boot camp’ in readiness for an attempt to set a fastest known time (FKT) on the North Coast 500 mile tourist route in northern Scotland. Starting at Inverness Castle on Saturday April 13th at 7am, William will attempt to run this iconic route, solo, in 8 days or less. He has assembled an experienced support crew of 4 full timers plus a possible two additional crew from Orkney who, it is hoped, will be able to support on a part-time basis. As far as is known no one has previously run the North Coast 500 route although cyclist James McCallum, completed the route in 31 hours in 2016. 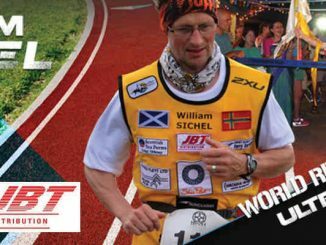 William is currently persuing his record-setting project called “Journey to 750” in which he is attempting to set 750 running records at World, British and Scottish level, including age-group records. Currently he has set 687 records, including 45 world age-group records and two Guiness World Records. His shortest record is for 30 miles on the track and his longest is an overall British record for 3100 miles/5000km on the road.